Sie erreichen unseren freundliches Tee-Team für Ihre Fragen bzw. Reklamationen und Beanstandungen unter der Rufnummer: +49 3535 242515 (Montag bis Freitag von 08 bis 16 Uhr ) sowie per Email unter Ina.Kukla@Teeladen-Herzberg.de. Das Ladengeschäft Teeladen Herzberg hat die folgenden Öffnungszeiten: Montags bis Freitags von 08 bis 16 Uhr. 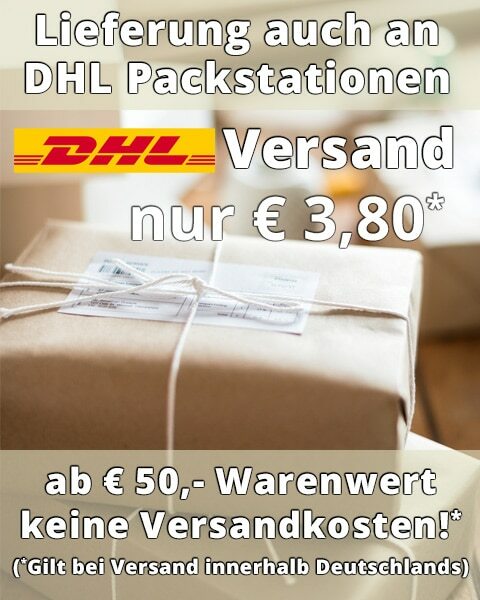 Erstbestellungen bitte schriftlich per E-Mail oder als Onlinebestellung. Auf dieser Website werden neben durch den Teeladen Herzberg selbst erstellten und / oder durch unsere Hersteller bzw. Großhändler zur Verfügung gestellten Produktbilder auch Fotos von der Plattform Fotolia.com / Envato Elements und andere verwendet. Folgende Fotografien / Grafiken wurden von Fotolia.com lizensiert und werden auf verschiedenen Unterseiten dieser Webpräsenz dargestellt: "Asian herb tea on an old rustic table" © Sandra Cunningham - Fotolia.com. "Chinese Longjing green tea" © Tomboy2290 - Fotolia.com. "Rotbuschtee" © 77SG - Fotolia.com. "Loose tea" © gtranquillity - Fotolia.com. "Tee Frucht - tea fruit 03" © LianeM - Fotolia.com. "Girl blow to hot tea" © Vadim Ponomarenko - Fotolia.com. "Stevia sowie andere Süßungsmittel" © fovito - Fotolia.com. "Frauenmanteltee" © Teamarbeit - Fotolia.com. Cappuccino © Designer_Andrea - Fotolia.com. "paket stempel nachnahme I" © WoGi - Fotolia.com. "Gewürze" © Ray - Fotolia.com. "mix of spice out of the bowl" © Marco Mayer - Fotolia.com. "Chai-Tee" © Henry Schmitt - Fotolia.com. "Healthy Tea" © Subbotina Anna - Fotolia.com. "Man pours tealeafs by bamboo Tea Scoop" © Arkady Chubykin - Fotolia.com. "Tea ceremony: geisha with teapot and cherry blossom branch" © lian_2011 - Fotolia.com. "Tee 5" © unikat - Fotolia.com. "Glass of iced tea" © digieye - Fotolia.com. "Nomaden der Sahara" © hecke71 - Fotolia.com. "Chinese Tea. Traditional Ceremony" © Subbotina Anna - Fotolia.com. "Producing Tea in Tanzania" © Reinhard Marscha - Fotolia.com. "Wasserkocher" © Marc Büchler - Fotolia.com. "Teepflückerinnen auf einer Teeplantage" © Esther Querbach - Fotolia.com. "Old hand holding tea leaf" © Dmitri MIkitenko - Fotolia.com. "Euro" © VRD - Fotolia.com. "Fruit jam - Marmellata di frutta" © Marzia Giacobbe - Fotolia.com. "Deli Olive Oel" © yamix - Fotolia.com. "Kräuterbutter" © Christian Jung - Fotolia.com. "Mustard in bowl, spices and parsley isolated on white" © Africa Studio - Fotolia.com. "balsamic vinegar and olive oil isolated on white background" © brulove - Fotolia.com. "Authentic pesto sauce with its ingredients and Spaghetti." © yamix - Fotolia.com. "Pasta" © arminneuhauser - Fotolia.com. "businesswoman with parcel" © Lev Dolgatsjov - Fotolia.com. "matcha tea" © kiboka - Fotolia.com. "verkäufer" © Tino Thoß - Fotolia.com. Werbung - jetzt anmelden © JiSIGN - Fotolia.com. Geschäftsmann, Wer, Wie, Was, Wo, Wann, Warum © Rudie - Fotolia.com. Apfel-Eistee © Marén Wischnewski - Fotolia.com. Tee mit frischen grünen Blättern © unpict - Fotolia.com. Samowar offen © schoki_01 - Fotolia.com. Healthy red bush tea from South Africa © SLDigi - Fotolia.com. Teesorten © photocrew - Fotolia.com. Tea - white tea leaves © Maridav - Fotolia.com. Tea © Natalia Klenova - Fotolia.com. Green tea loose dry leaves in a spoon © Elenathewise - Fotolia.com. Lapachotee © cirquedesprit - Fotolia.com. Hot coffee in a cup and grains on a copper Asian dish © liliya kulianionak - Fotolia.com. 100% Sortenrein © Christian Jung - Fotolia.com. Kaffee und Vanille - Aroma © PhotoSG - Fotolia.com. Espresso © Antonio Gravante - Fotolia.com. Hot coffee in a cup and grains on a copper Asian dish © liliya kulianionak - Fotolia.com. Ice tea © baibaz - Fotolia.com. - ハーブティー (Foto 50466509) © chihana - Fotolia.com. Bildnachweis verwendeter Fotos von 123rf.com : "Grüner Tee mit Minze und Jasmin" © Anna Khomulo - 123rf.com. Bildnachweis verwendeter Fotos von Envato Elements : Female hands holding cup with tea © vadymvdrobot / 15 Tea Icons © creativevip / Iron asian style tea set © grafvision / happy woman buying chai latte drink at vegan cafe © dolgachov / Japanese tools for brewing matcha green tea, grey concrete background © sonyakamoz / Chinese tea ceremony © liufuyu / Ceylon tea leaves drying process © NomadSoul1 / Tea cups with teapot © grafvision / coffee beans © tycoon101 / Asian tea © karandaev / leaves of fruit tea © Nikolaydonetsk / Flowering tea © grafvision/ Tea Flower in a Clear Teapot © aetb / Assortment of tea leaves © Nikolaydonetsk / Matcha green tea © merc67 / Mixed spice © fotografiche / Food Spices in glasses © oizostudios / Delicious chai latte © grafvision / Tea Flower in a Clear Teapot © aetb / Spices and herbs © klenova / Different types and forms of sugar © Alex9500 / An Asian woman enjoying her tea © Rawpixel / Aromatic Tea © Dream79 / Two girls walking with shopping on city streets © master1305 / Coffee chocolate cookies © Nikolaydonetsk / retro christmas decorations with christmas © Nikolaydonetsk / Tea spoons with tea leaves © Nikolaydonetsk / Spices set © e_mikh / Closeup of parcel box © Rawpixel. Unsere Datenschutzrichtlinien finden Sie unter dem Menüpunkt "Datenschutz".